They provide really great and professional service to the customers all around the world. 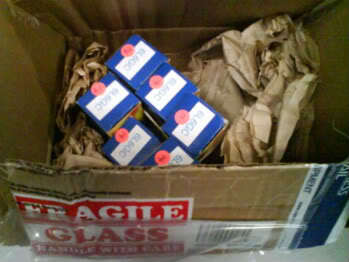 My order arrived - JJ ECC83S Hi-Gain Selected Kit (included one Balanced JJ ECC83S for Phase Inverter) and JJ 6L6GC. Hi-Gain Selected preamp tubes make your amp gain pot become more useful. Even when you turn gain control all the way up, you won't ever get muddy tone at maximum gain setting. retube instructions note, business card and Eurotubes sticker. TUBES ARE GOOD. 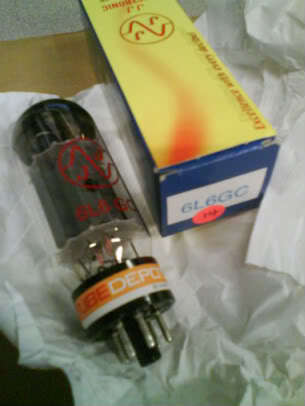 My JJ 6L6GC powertubes was graded as "#63DM". "#63" is the hotter grade from Eurotubes grade code. for us that utilizes double mica spacers which help reduce rattle from the tubes. Besides the fast and professional service, they do often offer sales discount on their website. I like TubeDepot logo design.